Add Rogue Rotisserie Kit + £120. 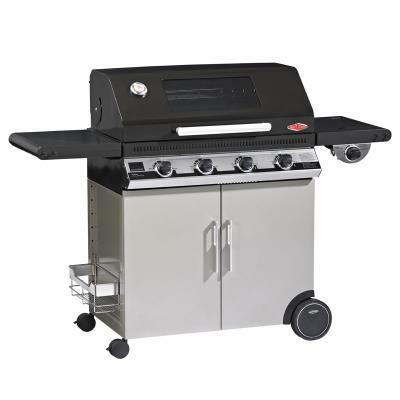 Napoleon's Rogue® 365 Gas Grill is perfect for a seasoned griller who needs a quality grill that provides all of the features of a substantial grill, but takes up the space of something a little more portable. It even has the price tag to match. Grill different by going Rogue®. 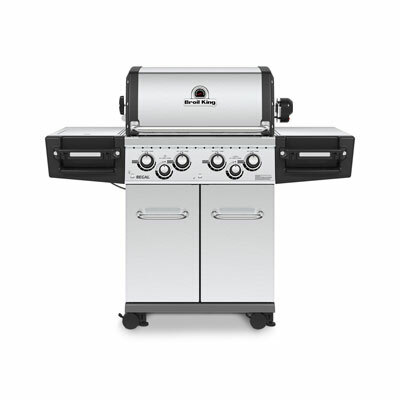 Two main burners on this compact grill provide 28,000 BTU's over 365 sq.in of main cooking area. There is an additional 95 sq.in with the warming rack, increasing your total cooking area to 460 sq.in, meaning you can still grill for a crowd and make your (sear) mark with stunning culinary creations. 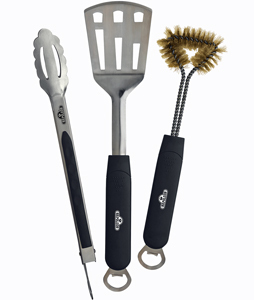 The dual level sear plates instantly vaporize any grease that falls from your food, creating flavor, not flare-ups. 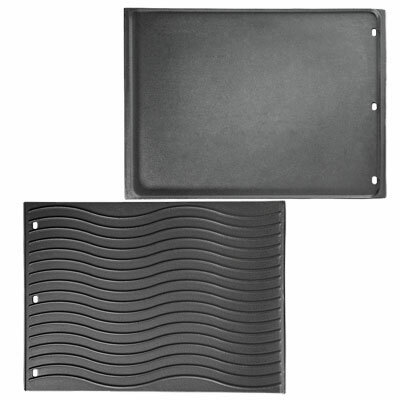 The Rogue® 365 offers a stylish and durable black porcelain enamel lid and single panel door. 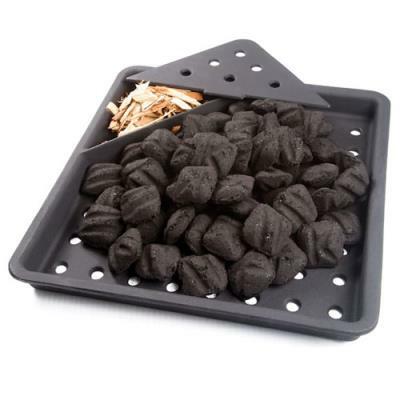 With this new design, you will be grilling faster; assembly time is cut in half. The cabinet itself provides integrated storage for propane and grilling tools. The Rogue® fits itself into your life and lifestyle. The side shelves are foldable to allow it to fit wherever you need. 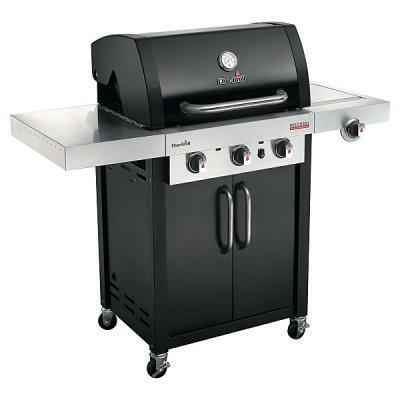 No other grill gives you such versatility with an affordable price and high qualitycomponents. So get out there and grill different. Go Rogue®.